The Vin Diesel diet transforms his body into a lean, mean fighting machine. When he was young, Vin earned the nickname “Diesel” for his non-stop energy. At his age, living up to such a nickname means ating an amazing diet. Vin Diesel recently relied on this energy-filled, mass-building diet to get ready for Fast and Furious 7. My diet, like my weights regime I suppose, is very much your typical diet for people who want agility, low body fat and higher muscle mass. 2 slices of rye toast, spread with almond butter, 1 sliced banana, 2 tsp of chia seeds, glass of water. For breakfast, Vin Diesel’s diet focus is on strong carbohydrate sources. This will give him slow-burning energy to use throughout the day. The more fiber oats and grains have, the better they are. So, look out for heavily processed carbs, like oats that have the outer husks removed. 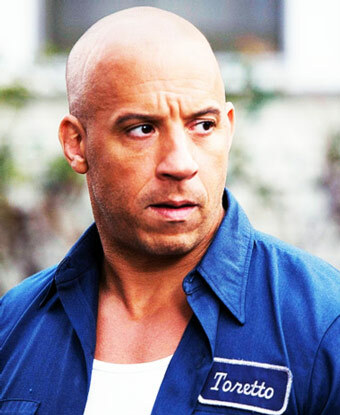 Vin Diesel likes chia seeds and almond butter for their healthy fat and protein content. Fat is important for mental clarity throughout the day, as well as being the major building block for testosterone. Chia seeds go well with water. Just mix them in, stir, let sit for a minute, and drink them. The longer chia seeds sit in water, the more of a gel-like consistency they create. Rye toast is healthier than most bread. Rye contains more vitamins, takes longer to digest for more energy, and has more protein than wheat bread. For lunch, Vin Diesel begins looking for stronger servings of protein. 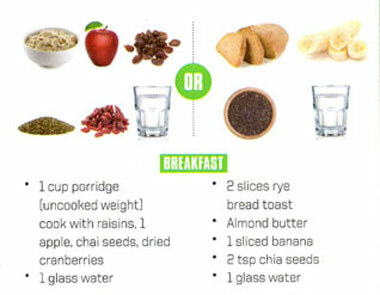 He swaps his oatmeal/toast carbohydrates with either chopped veggies, brown rice or a sweet potato. 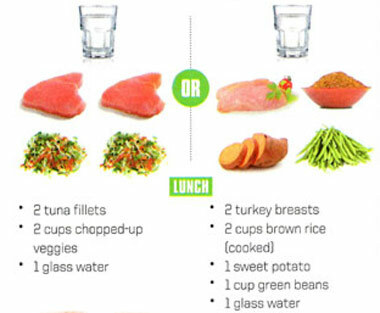 2 turkey breasts, 2 cups of brown rice, 1 sweet potato, 1 cup of green beans, and 1 glass of water. The first meal for lunch is protein focused, and lacking a major source of carbs. It would especially be used when Vin Diesel is focused on cutting. Tuna is a great source of protein, with a bit of healthy fat. This combination is great for muscle-building, while maintaining the low body-fat Vin Diesel requires. Chopped veggies don’t offer many calories, but vegetables like spinach have the most nutrition per calorie of any food. This makes veggies a great carbohydrate source when trying to stay lean. This lunch helps Vin Diesel with his goal of building muscle mass, while maintaining the agile look he craves. The second lunch meal has more sources of carbs. It’s better for bulking/high-energy days. Sometimes, Vin Diesel knows he’s going to have a long day of acting, weight lifting and martial arts. Other days, he simply knows he’s going to be hitting it hard at the gym and needs the proper nutrition to recover. For dinner, the protein focus continues as Vin Diesel is focused on giving his body all the nutrition it needs for muscle building. With skinless chicken or salmon, Vin Diesel is getting great sources of protein. 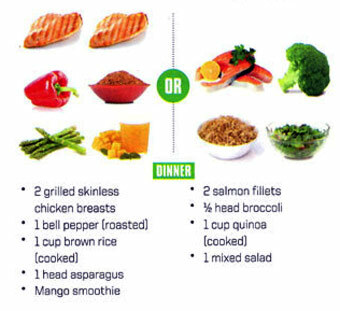 The brown rice or quinoa are good carbohydrate sources, that also mask high-protein densities. 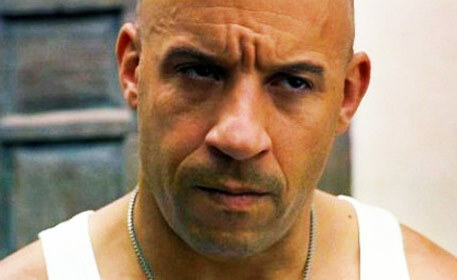 Vin Diesel tries to eat less fat at dinner time, so that his body enters a fat-burning state while he sleeps. Vin Diesel’s diet and training were put to the test while filming The Fast & Furious 7 because he wanted to make it the best movie–in the 7-part franchise–ever. So, Vin Diesel’s diet and training were stronger than ever. Vin Diesel’s workout motivation was due to Paul Walker’s tragic death, and their close relationship. For The Fast & Furious 7 Vin Diesel had his actual brothers “stand-in” for Paul Walker while filming. This was an emotional time for him. 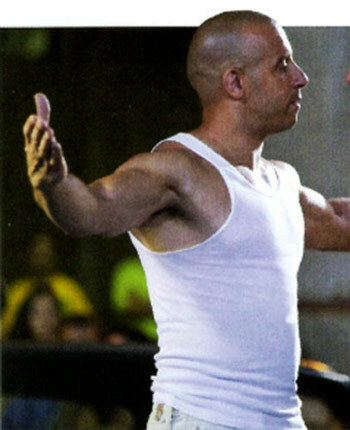 Vin Diesel also shared his workout routine with Train Magazine. 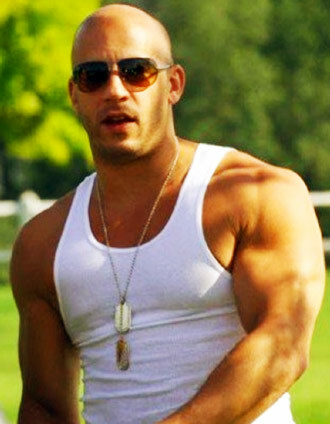 Find The Vin Diesel Workout: Fast & Furious Shape here. Diesel even decided to learn jiu-jitsu (Paul’s favorite) to improve the fight scenes. Vin Diesel trained especially hard for these Fast & Furious 7 scenes because of how much he was missing his close friend, Paul Walker. I can speak for everyone who’s been involved with this franchise for a number of years because we’re like a family, and Paul really was the best of us. Know anyone who would like to see the Vin Diesel diet? 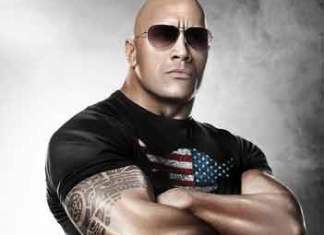 Or anyone who’s stoked about Vin Diesel’s physique for The Fast and the Furious 7? Next articleJLo Workout: How She Gets In 6 Hours A Day!